4. Click the red Administration icon and select Add new type. To add a billing code, click the add billing code link. To choose from current billing codes, click the add rate link and set the start and end date. 6. 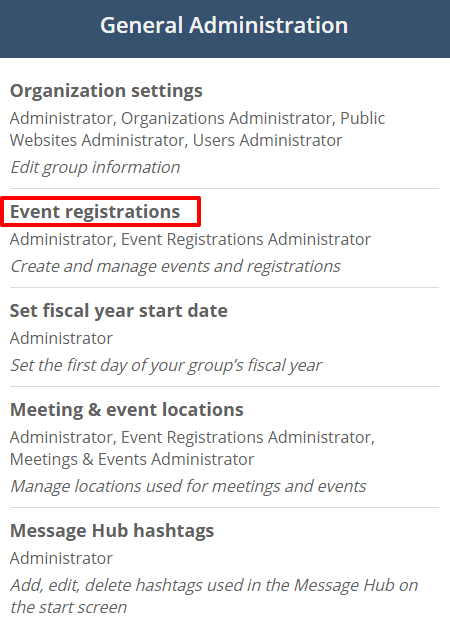 If you have ticketed items for the event and they are to be bundled with the attendee type, click the box if you want them to be included. Note: If checked, the tickets will be included in the price of this registration type. 7. On the classification area, choose if the attendee type is for a member, guest or non-member.